The ability of Boomerang to bounce lands doesn't seem very useful in modern when everything so cheap. And it's not like you have anything that really works with bouncing lands. Spellstutter Sprite counters spells with a converted mana cost of 1, might be better than Boomerang . If you really want bounce, I'd say if you're planning to bounce your own things most of the time, consider Call to Heel , and if you plan on bouncing opponent's things consider Echoing Truth . If you can't decide, consider Repeal or Remand . If you want some spicy tech, run a Redirect or two. In Modern, it can make an opponent Thoughtseize themselves or Lightning Bolt their own critters, steal Ancestral Vision s, and can even counter Cryptic Command s. There are a few decks it does nothing against, but it can often do more damage to the opponent than even Counterspell , when it two-for-one's them. It can also count as removal for you. Wolfir Avenger 's regeneration makes it resistant to most common removal, and I think it would be an upgrade over Bounding Krasis and Fleetfeather Cockatrice . Maybe Cloudthresher for the sideboard against Arclight Phoenix and Lingering Souls ? Or main deck doubling as a finisher? Voidmage Husher is repeatable counter to activated abilities, but is quite mana intensive. Maybe you could find room as a one-of? People always forget blue and green have burn spells with Psionic Blast and Hornet Sting . It's not much, but it would be enough to catch some players by surprise. It's just a thought, since you said you wanted burn in the deck. I'm playing Nikya, and my deck list here on tapped out it's not updated. It's Full creatures...62 creatures and 38 lands. I had the same fellings for Primal Surge, and loved your idea on Tarzi. But what i did in my last update on Nikya: Vorinclex, Voice of Hunger and Regal Behemoth to increase your mana at a ridiculous amanounts to Cast ridiculous Hydras...its a F...Gruul so giant creatures are welcome; All Draw creature like Primordial Sage to fuel your hand and use that huge amount of mana; Urabrask the Hidden and all the same way for Haste; Flash creatures to have some surprize..."oh that guy don't use any instant, so lets get him off guard." Cloudthresher , Great Oak Guardian , Haze Frog . The Deck can be awesome cos that "mana flare" on commander is so powerfull, that you going to notice when you have the first game. This is actually a pretty cool list - a lot of it synergizes well with the sacrifice theme and there's a strong Meren shell here. Plaguecrafter is an insane uncommon from GRN - strictly better than others with the same effect. I'd have as many of the effects as possible, so a third doesn't hurt. Board wipes in general. I don't think I see any, and board wipes are the "Get Out of Jail Free" cards of Commander. If you're behind, they let you catch up with opponents. Some ideas: Living Death (solid card - we've already seen what this can do, and in your deck, a deck with lots of ETB and sac value, this is just good), Decree of Pain (hefty CMC, but the card advantage this gives you is insane), Black Sun's Zenith (gets around indestructibility, -1/-1 counters are a pain for everyone). You do have some dictate effects (i.e. Dictate of Erebos) which can function as indirect board wipes, but it's a win-more type of board wipe. Dictate effects are still amazing - don't get me wrong. Spore Frog. Oh god. It's Spore Frog. The single most frustrating card for most decks facing Meren. It's one CMC, gets you a free counter on Meren each turn, saves you from combat, and then is revived for further use. Somebody tries to exile it? Sacrifice it in response. They still get fogged. Just make sure to save it for instant speed - that is, wait until their turn to use it. Viscera Seer. One of the most important things for sacrfice decks is ways to sacrifice creatures. Viscera Seer is amazing at this. Just like Spore Frog, it gets you a counter on Meren each turn and a free scry. Not only this, but it gives you ways to sac creatures at instant speed for no cost - just a great effect! Buried Alive fetches you anything you want. Want a Spore Frog? Sure. 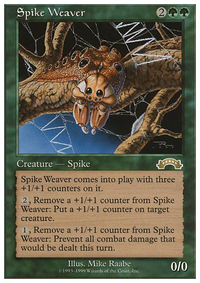 Want to fetch out Protean Hulk to pull out an infinite combo win? You betcha. 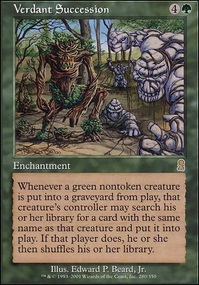 Speaking of Protean Hulk, I don't think newer players realize how utterly insane this card is. There was a time when this thing was banned in commander - it's a seriously broken card. There's a whole list on r/CompetitiveEDH about this card's infinite combos: https://www.reddit.com/r/CompetitiveEDH/comments/67czr7/protean_hulk_combos_by_color/. Considering including one in the deck. Though a little out of your price range for now, one of the most reliable and flexible is Mikaeus, the Unhallowed and Walking Ballista. They both enter play at the same time (since X = 0 for Walking Ballista if you pull it out of your deck with Hulk, you can pull it and Mikeaus [whose cmc = 6] at the same time, since 6 + 0 = 6) , and since X = 0, Walking Ballista immediately dies due to state based effects, which then brings it back with a +1/+1 counter from undying. Remove the counter, deal 1 damage to a player, return the ballista, repeat forever! You win by pinging your opponents to death! Well actually it doesn't work. Since Mikeaus gives non-humans +1/+1 in addition to undying, Walking Ballista will still be a 1/1 after the counter is removed. If you have a sac outlet out (such as Viscera Seer), you can sac Walking Ballista after removing the counter to fuel the combo, and have it go infinite. This is one of the Protean Hulk combos, and is probably the most fair one (and I'm using 'fair' losely here - Protean Hulk is still fetching a win nearly every time it dies). 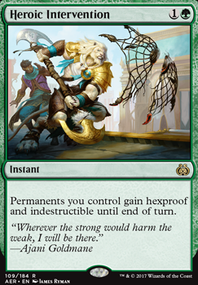 Plus, a Hulk combo gives you a reliable win condition to defeat your opponent with. Fecundity. I don't know why I don't see this card played more. Despite the symmetrical effect (that is - both you and your opponents drawing cards), you'll be making the most advantage off of it. Spore Frog now draws you an extra card each turn - so does Viscera Seer! Not to mention that it just helps the sacrifice player overall more than others. Black Market. Oh boy. So much mana. 'Nuff said. I love this card. 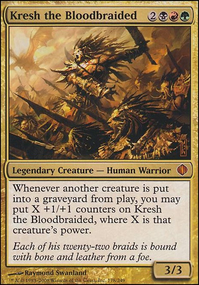 Mana is super valuable in Commander, as in all formats, and this card gives it in the bucketload. Beast Within or Krosan Grip or Nature's Claim. Beast Within is probably the one I would use, but I just think you might want a spot removal for enchantments. I don't see any other way besides Golgari Charm, which is meh for it at best, in your deck to deal with them, and they are an important card to be able to destroy. Plus, the versatility of Beast Within is just really good - destroy target permanent. Birthing Pod. Yeah, this is on the pricier side, which is why I added it at the end. It's another broken card, and is banned in modern but still has a pricetag because of its commander play. It tutors for things, which is a great effect in Magic. Diabolic Intent. Dunno. Just seems pretty good. Never really used it. Champion of Stray Souls offers a Living Death impression, but not a good one at that. It's really expensive to use and I don't think it's in your best interests to keep it, as it's a six CMC fattie that doesn't really contribute to your plan. Cloudthresher. Damnation and Wrath of God and Toxic Deluge and Evacuation and Blasphemous Act and Merciless Eviction all do more than just touch flying creatures, and cost the same or less. They might not be in your colors, but as you're in Black, you have access to the single best board wipes in the game. One that touches only flyers and only does 2 damage (a low amount in commander) is pretty underwhelming. Caller of the Pack. Generic big dumb green fatty. Dunno. Guess it's fine? It's more or less Vanilla, despite having myriad, and contributes nothing to your plan as the tokens it creates aren't even sacrificed - they go into exile. Banshee of the Dread Choir has the same problem as with Caller of the Pack. Just a semi-vanilla card that doesn't really do anything for you. Dread Summons feels more like a mill card? Doesn't really have much in the way of sacrifice, besides the 2/2 bodies. I think there are much better cards for this slot. Golgari Charm. It's fine, but not great. Beast Within is better. Wretched Confluence. Again, it's fine, but there are better cards for this slot. Hope this helps. The deck seems pretty solid - you've got a good Meren shell, and I look forward to seeing the finished deck! The Vivid Lands (Vivid Creek etc) and Shards' and Khans' block Trilands (Arcane Sanctum etc) are always what I go to when I gotta build a 5-color mana base. They are dirt cheap and very effective for making sure that you got access to all your colors. The old standard 5-color control decks of Lorwyn/Shadowmoor era were playing Cloudthreshers and Cruel Ultimatums in the same deck, thanks to the Vivid Lands combined with Reflecting Pool. That's a quadruple green spell combined with UUBBBRR mana cost and really is a testament to those lands' power. a few ideas to consider. take these, or leave them, just concepts to possibly make omnath more dangerous! since green is weaker on the removal, you may want to include creatures that have nice ETB removal. terestadon and woodfall primus are nice additions to consider. 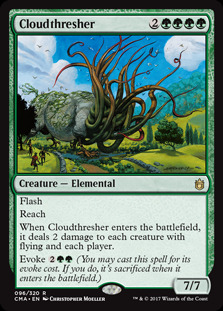 instead of your spiders i would consider Cloudthresher, since it has flash, reach deals damage to flyers, and it can be evoked. super versatile considering its 7/7 body. already mentioned was Ghalta, Primal Hunger. the value cast you can get out of this creature is incredible. for a 12/12 trample. so good, especially since we want targets for opponent spells other than omnath. another creature to consider would be Multani, Yavimaya's Avatar. this card scales well for mid and late game, and can even be cast turn 4 with proper acceleration. very good card all around, with some sticky protection. 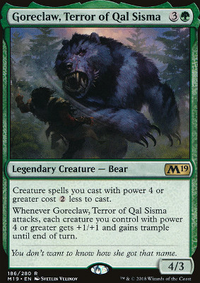 also, both ghalta and multani have trample. very important. Additionally, you may wish to consider some stronger ramp spells, maybe Boundless Realms or Traverse the Outlands. both can get you rediculous amounts of land.